Cooler Master is a veteran PC component company of over two decades providing PC enthusiasts the products they desire. The company invests quite a bit of time and funds into research and development to create unique solutions. The product portfolio that they have developed is quite expansive and is more than just PC cases, but also most accessories that would be needed for any PC builder. Let’s see how Cooler Master wants to WOW us with their HAF (High Air Flow) PC case series. I think we are going to see more than just a few LED lights to prove it. The HAF series is not a new series for Cooler Master. The series has been around for years and includes models that come in full-towers and mid-towers. The HAF series even has special edition models for fans of NVIDIA and AMD. What I have in store for you today is the Cooler Master HAF XM mid-tower (RC-922XM-KKN1). The HAF XM is a ‘mid tower’ version of the HAF X, which is hands down one of the most popular full tower cases for enthusiasts. Cooler Master has not only designed the HAF XM for PC enthusiasts, but all PC enclosures in this series should hit a sweet spot for PC enthusiasts. 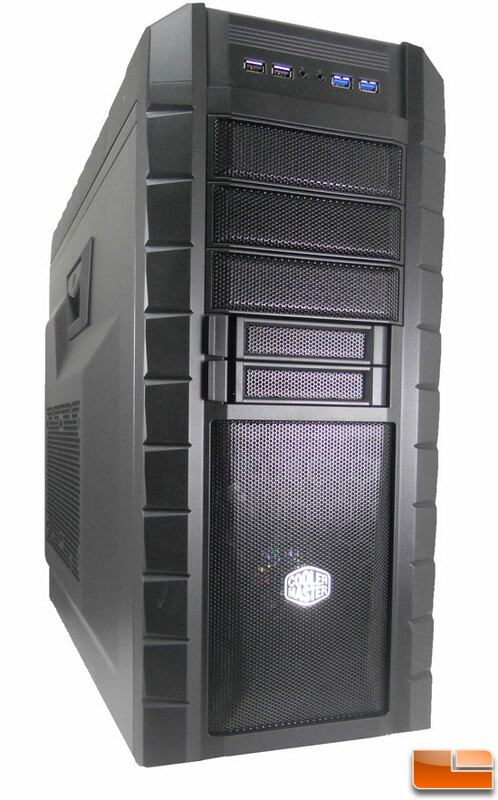 Unlike the NVIDIA and AMD edition, which are full-towers, the HAF XM is a mid-tower. This edition will come only in black with red LED lighting, appealing to PC gamers at a LAN. I know I am one to have to have a flashy case because it certainly doesn’t translate to my FPS skills at a LAN party. Cooler Master will also be making a side panel available for purchase in a few weeks that has a window on it. So how much does Cooler Master expect you to pay for this case? How does an MSRP of $129.99 sound? The case will be covered by a two year manufacturer warranty. This is a pretty typical type of warranty for a PC enclosure covering manufacturer defects but not typical wear and tear. More details can be read here on the Cooler Master website about their warranty policy. I/O Panel: USB 3.0 x 2 (internal), USB 2.0 x 2, Audio In & Out x 1 (supports HD audio), LED switch for front fan.